Another beautiful masterpiece from my latest collection. 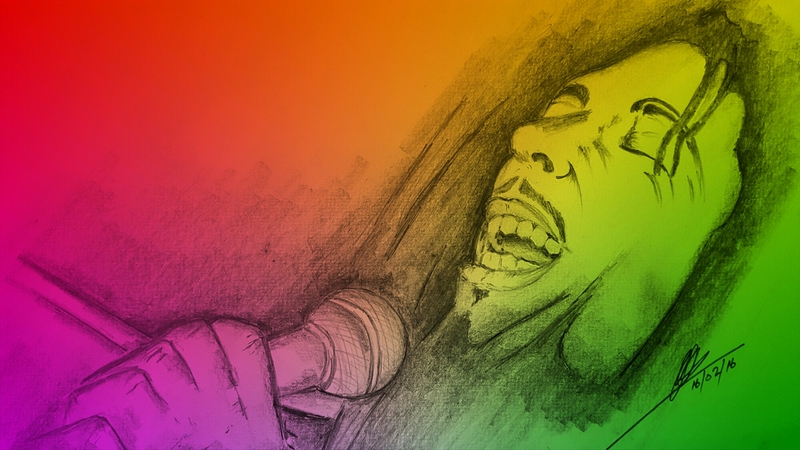 Original pencil portrait of Robert Nesta Marley. This has been digitally mastered with the colours of the Rastaman movement straight out of the beautiful island of Jamaica. Please enjoy my latest creation. In this new series I have been testing out some different colours and recycling some of my artwork. Here is another beautiful creation taken from; Jamaican Sunrise. I love this painting and so does many others. I wanted to give it a go by recycling with some of my favourite colours and in this piece; I think these colours are great. Please give me your opinions, let me know what you think. FOR COMMISSION WORK; PLEASE CONTACT ME!! it would be an honour to paint your special piece of work exclusively to you. Purchase original paintings by Collin A. Clarke, Fine Artist. 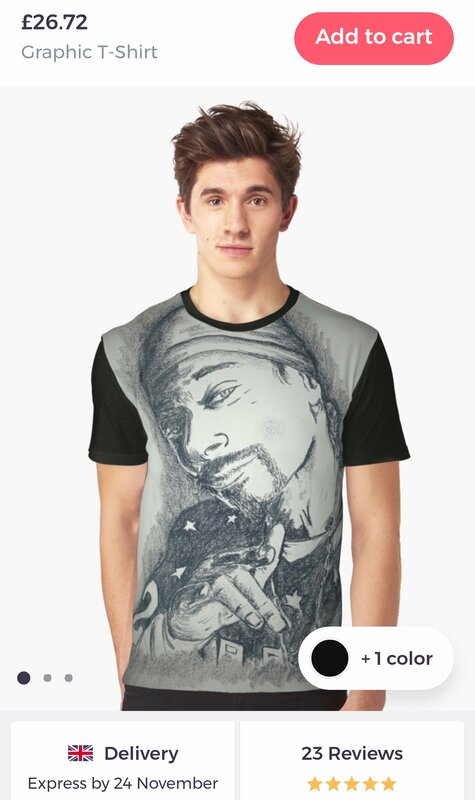 You can also purchase; Fine Art Prints, Canvas Prints, Acrylic Prints, Metal Prints, Frame Prints, Phone Cases and other accessories ONLINE. Watermark will not appear on any final purchased product! Thank you very much for liking and commenting on my art and please feel free to share via; Pinterest, Facebook, Google+, Twitter. 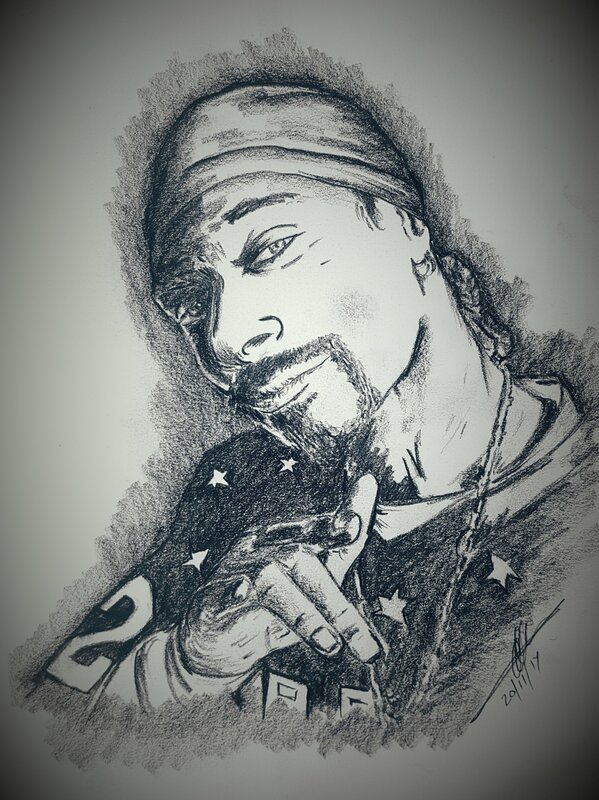 All artwork in this gallery collection is the original artwork of Collin A. Clarke; All Rights Reserved. Copyrighted to Collin A. Clarke and is protected by UK and International Copyright laws. Many thanks for your interest in my artwork. I have been painting and selling art since 1989; from a very young age. selling online has been a great experience for me personally and I am ejoying sharing my art to a wider audience of collectors. 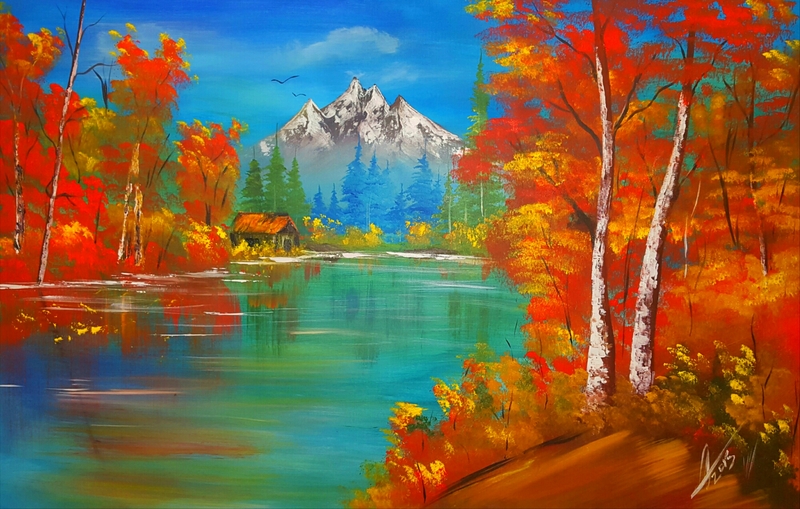 Another magnificent piece of art from my autumn series, lovely vibrant colours are my favourites to work with and this season is one of my favourites to paint. I enjoyed creating this piece because of the size of the canvas, (48″ x 30″). This was exciting and challenging and I loved it. Being an artist makes me feel happiness inside when my creation does exactly what was originally intended; I feel I captured the real essence of this beautiful season, so please enjoy. 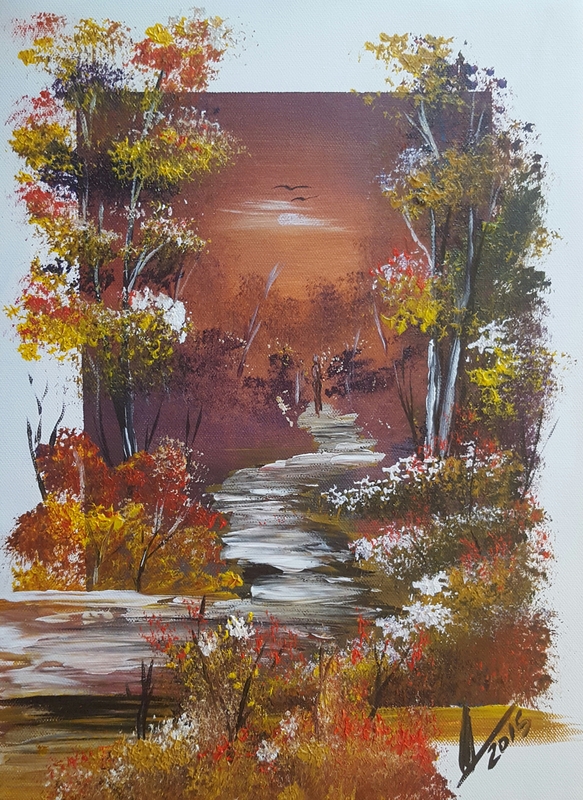 Walking at Autumn is another very vibrant piece of acrylic painting in my series of autumn landscapes on canvas artwork. 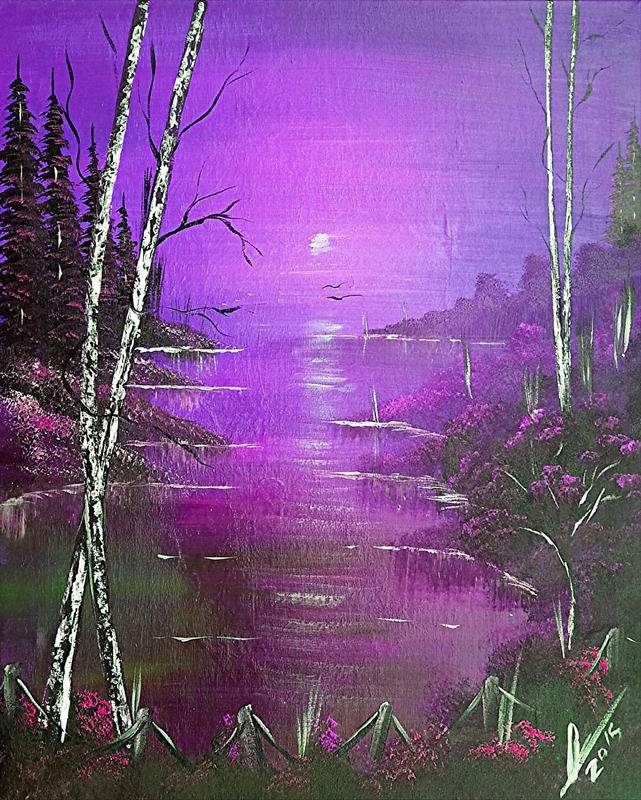 I use bold colours and powerful brush strokes as I do in all my paintings in order to create a lasting visual impression. 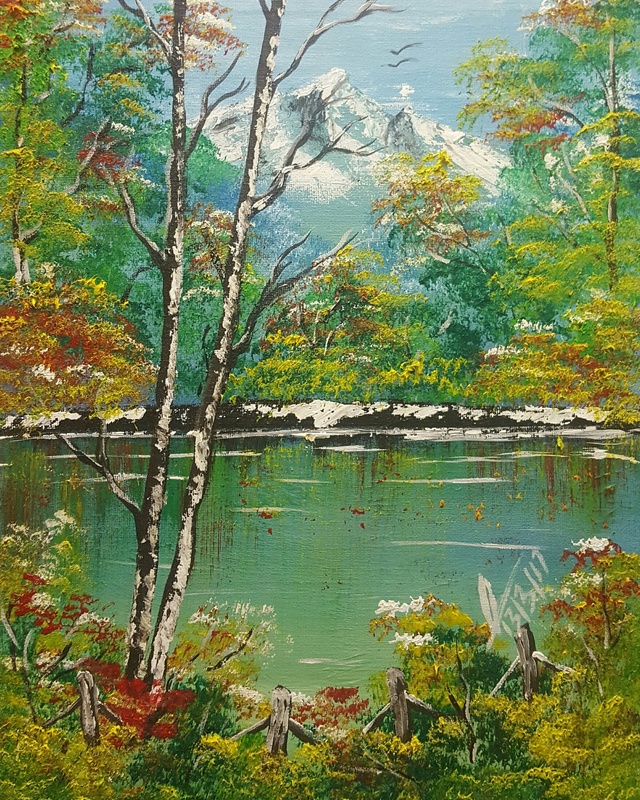 Art lovers and art buyers will see symbolic references to painters like, Bob Ross, Bill Alexander and even John Constable as I offer homage to their artistic vision through my own art. 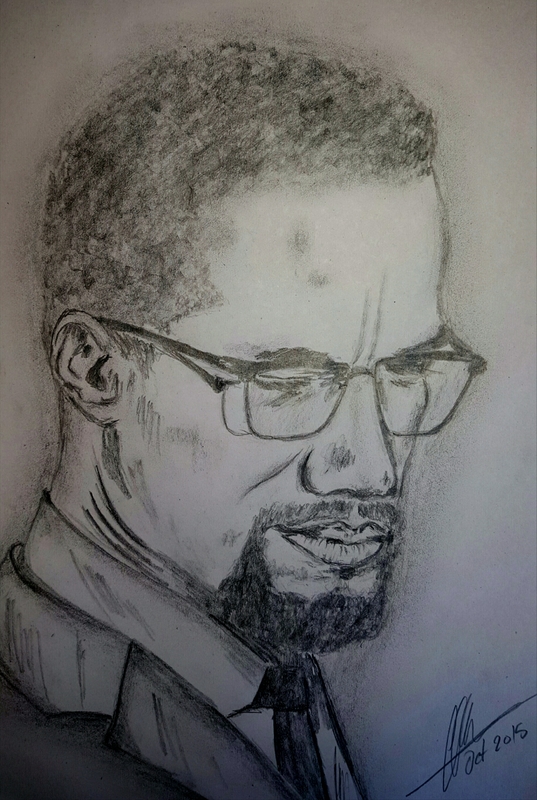 Malcolm X (/ˈmælkəm ˈɛks/; May 19, 1925 – February 21, 1965), born Malcolm Little and also known as el-Hajj Malik el-Shabazz[A](Arabic: الحاجّ مالك الشباز‎), was an American Muslim minister and a human rights activist. To his admirers he was a courageous advocate for the rights of blacks, a man who indicted white America in the harshest terms for its crimes against black Americans; detractors accused him of preaching racismand violence. He has been called one of the greatest and most influential African Americans in history. Malcolm X was effectively orphaned early in life. His father was killed when he was six and his mother was placed in a mental hospital when he was thirteen, after which he lived in a series of foster homes. In 1946, at age 20, he went to prison for larceny and breaking and entering. While in prison, Malcolm X became a member of the Nation of Islam, and after his parole in 1952, quickly rose to become one of the organization’s most influential leaders. He served as the public face of the controversial group for a dozen years. In his autobiography, Malcolm X wrote proudly of some of the Nation’s social achievements made while he was a member, particularly its free drug rehabilitation program. In keeping with the Nation’s teachings, he promoted black supremacy, advocated the separation of black and white Americans, and rejected the civil rights movement for their emphasis onintegration. By March 1964, Malcolm X had grown disillusioned with the Nation of Islam and its leader Elijah Muhammad. Expressing many regrets about his time with them, which he had come to regard as largely wasted, he embraced Sunni Islam. After a period of travel in Africa and the Middle East, which included completing the Hajj, he repudiated the Nation of Islam, disavowed racism and foundedMuslim Mosque, Inc. and the Organization of Afro-American Unity. He continued to emphasize Pan-Africanism, black self-determination, and black self-defense. In February 1965 he was assassinated by three Nation of Islam members. The Autobiography of Malcolm X, published shortly after his death, is considered one of the most influential nonfiction books of the 20th century.